Hackers Warn Sony to Halt Release of "The Interview"
Sony has suffered immensely in recent days with scores of secret internal files leaking to the internet. 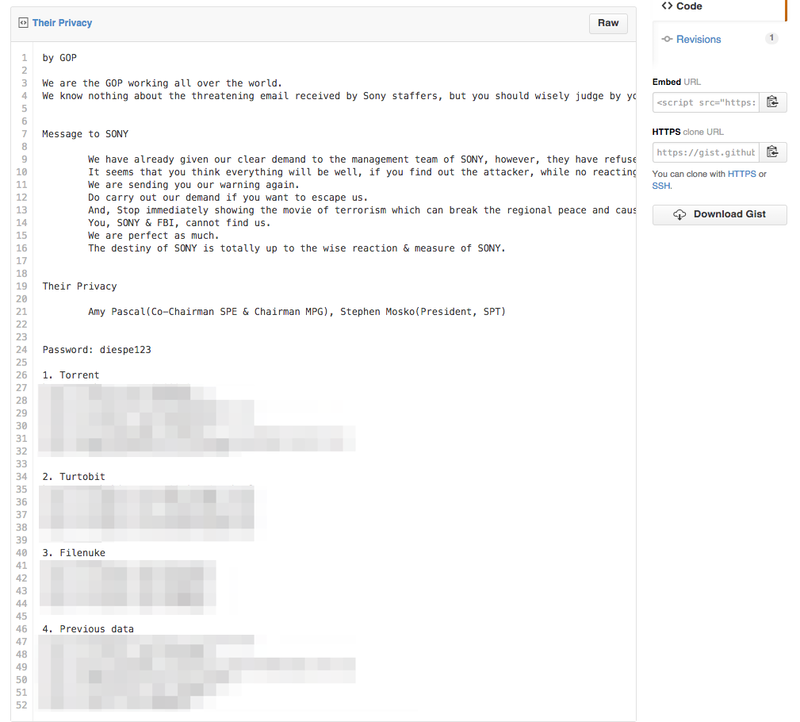 Now, the attackers have posted another warning to the company on Github. The message also contains links to the previously uploaded content, as well as new files that allegedly contain personal information about Amy Pascal, the Co-Chairman of Sony Pictures and Stephen Mosko, President of Sony Pictures. The threat likely refers to Sony’s latest film “The Interview,” a comedy that depicts the attempted assassination of Kim Jong-Un. Reports have emerged that the company is likely to name North Korea as the source of the attacks. Presumably GOP has switched to Github because Pastebin is swiftly removing posts made to the service by the group as well as issuing DMCA notices for Google searches about the content. We won’t link to the Github post as it contains stolen information.